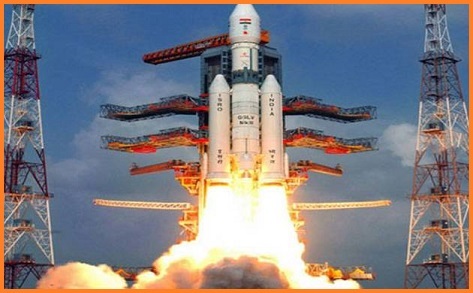 The Indian Space Research Organisation (ISRO) is launching its latest communication satellite GSAT-31, aboard Ariane-5 (VA 247) on 6th February 2019 from French Guiana. Ariane-5 is the launch vehicle of the European launch services provider Arianespace. According to Arianespace, the launch of Ariane-5 (VA 247) is scheduled for 2:31 am India time on 6th February. In its first mission on 2019, Arianespace would be launching two telecommunications satellites with Ariane 5. 1. GSAT-31 is a telecommunications satellite designed and manufactured by the ISRO. It weighs about 2,535 kg, the Indian satellite will provide continuity to operational services on some of the in-orbit satellites. It will also provide communications services in Ku-band for at least 15 years. It will help bridge the digital divide in the Indian subcontinent as part of an ambitious Indian space program, whose objectives are to develop India while pursuing scientific research and planetary exploration. The satellite derives its heritage from ISROs earlier INSAT/GSAT satellite series. It will provide Indian mainland and island coverage. It is India's 40th communication satellite. 2. Saudi Geostationary Satellite 1/Hellas Sat 4 Also called HS-4/SGS-1, the satellite is a geostationary condosat for KACST (King Abdulaziz City for Science and Technology- Saudi Arabia).